Authors of recipe are «Cooking» Isha and «Cook at home» Natasha. Mix milk in bowl with salt, oil and vodka (if you add it), adding sifted flour knead elastic dough, as for pelmeni. Cover dough with bowl and let it stay for 40 min. Add in mince salt, ground pepper and water, mix it. Roll thin layer of dough, sprinkle table with flour a bit, then fold rolled dough by several times in envelope and roll in thin layer again, if it is hard to roll it, you can let it stay for another 5 min. 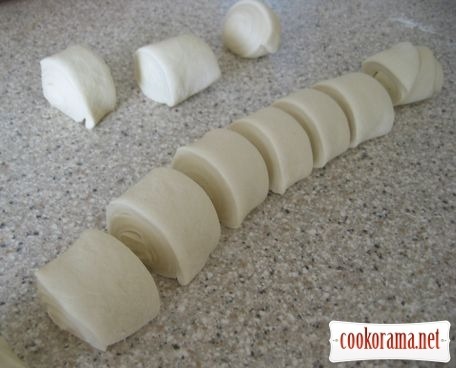 Fold rolled dough in envelope again, and roll a layer again, make a «roll» and cut in 10 equal parts. 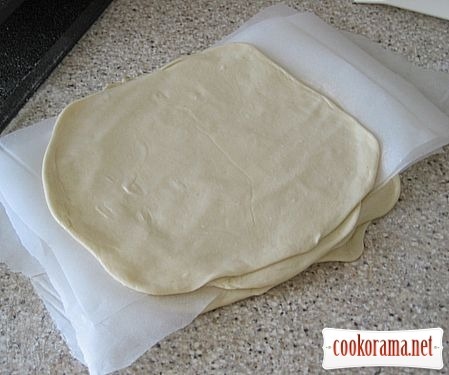 Now we do not need flour, brush away its remnants from the table, grease with oil hands, table and rolling pin, roll pieces the size of a saucer or small plate, how thin you roll out depends on your skill, but the thinner dough is- tastier are chebureki, but too thin dough will burst and tear. 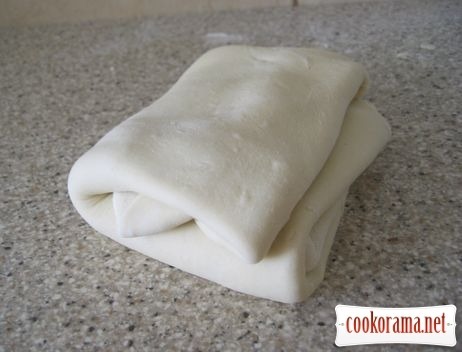 It is comfortable to fold rolled cakes between sheets of parchment, it accelerates the preparation of chebureki. It remains only to heat up the pan with enough oil (chebureki should swim in it). Put mince on rolled flat cake, spreading it on one side of dough stepping back a little from the edge, then cover on top with the second part of dough, let the air out with his hand, press the edges well, you can press them with fork or cut with special wheel. 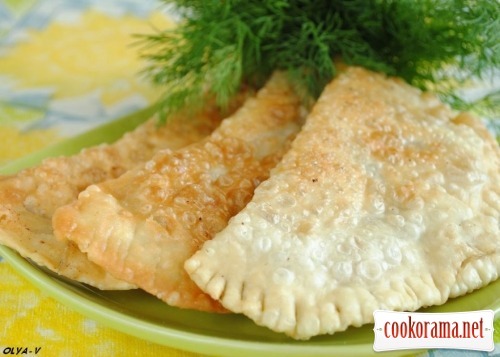 Fry chebureki in boiling oil from both sides until golden brown and better serve hot. 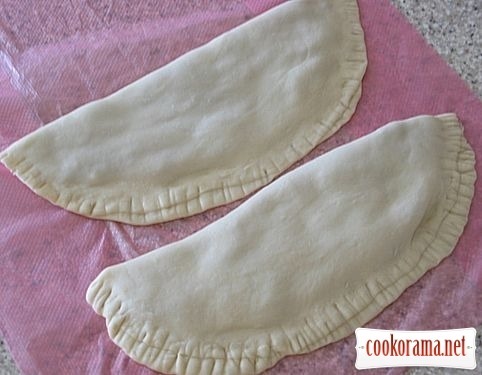 If you still have chebureki they can be warmed up again and they will be as fresh. ну это же надо — только пару дней назад подумала, что пора бы научиться делать чебуреки! Класні чбуреки Оля, а склад? Чи так " на око "
Спасибо, я просто забыла ингредиенты указать! Исправила.